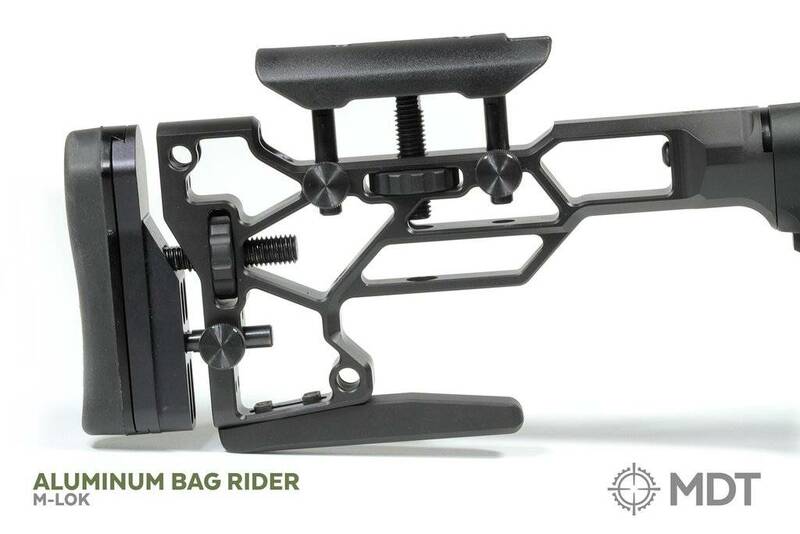 Aluminium rear bag rider attaches to the buttstock via M-Lok. 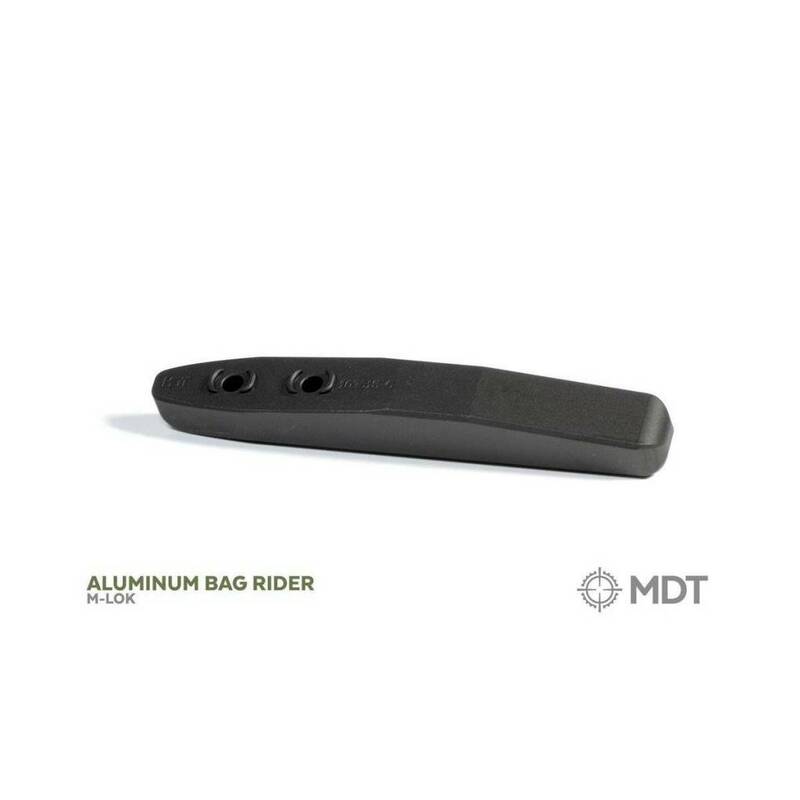 Mil-spec Type III hard-black anodized aluminum bag rider that attaches to M-LOK compatible buttstocks. Designed with a rounded profile to reduce snagging on bags and gear, with 5” of available length to sit on bags better. Angled to match the underside of MDT buttstocks and provide a flat, horizontal surface for linear recoil. Long 5” surface to better interact with a variety of bags to allow for more in-line recoil characteristics.